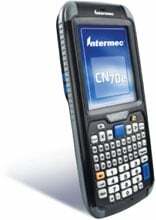 Intermec CN70e - Numeric, EA30, Camera, RFID-FCC, WEH-P, WWE, SS/R NI. Interface cables and charging cradle sold separately. USB Cable for single dock (Part# 236-209-001). Single slot charging cradle kit (Part# DX1A01A10). Quad dock charging cradle kit (Part# DX4A2111110). Vehicle Holder (RoHS) for the CK70/CK71/CK75. Does not provide power. Requires 805-638-001 Mounting Kit. The Intermec CN70EN7KD14W1R10 is also known as Intermec Technologies	HSM-CN70EN7KD14W1R10	.